I’m having a French love affair. It’s intensely passionate and all-consuming. Unfortunately it’s not with a mysterious vineyard owner from Bordeaux called Jean-Pierre or with a suave bearded Parisian by the name of Jacques. It’s with the whole country – the language, the fashion, the food. I’ve never even been to France but I’ve just finished a basic French language course so here’s hoping I’ll get to visit soon. Naturally I’ll meet the aforementioned men and be swept off my feet, especially now that I have the lingo. Parle plus lentement s'il vous plait! 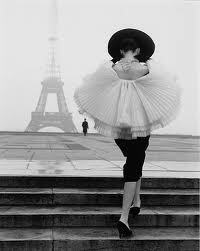 But what I absolutely love is the effortless natural beauty of French women. There must be something in the water. No, there IS something in the water! France's many springs and unique geological environment produces thermal water, water which is perfectly balanced and rich in trace elements. This water is the basis of many French skin care brands including pharmacy favourites Vichy and La Roche-Posay. However, the number one skin care brand in French pharmacies is in fact Eau Thermale Avène, a brand that has just become widely available here. Avène is a unique dermo-cosmetic brand dedicated to every skin concern be it sensitive, oily, dehydrated, blemish prone or ageing. Each product is fragrance and paraben preservative-free and contains the Avène thermal spring water. 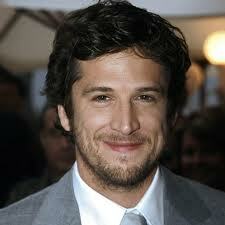 Guillaume Canet: Another reason hot & bothered females reach for the thermal water spray! Hydrance Optimale is Avène’s range for dry to very dry sensitive skin. This day cream is formulated to hydrate and protect the skin from daily aggressions and help prevent skin ageing caused by the sun. Despite its name, this cream is quite light and sinks into my skin quickly with no greasiness. This makes it a perfect base for makeup. I also love that it has a SPF of 20 as most pharmacy brands only go up to SPF 15. It has effectively hydrated my skin over the summer but its real test has yet to come. Winter wreaks havoc on my skin and I’m not too sure if this moisturiser is up to dealing with the dry patches I tend to get from icy wind and central heating. I have a feeling something more intense will be needed. Also, at €21.25 it's not very purse friendly for those on a budget.